It must be the season for baby showers as I have had several requests for my vintage baby shower printables for boy baby showers and custom pink printables for girl baby showers over the past month. I had a client contact me that sent out an evite but wanted pink and grey printables for her shower theme of "She's About to Pop". 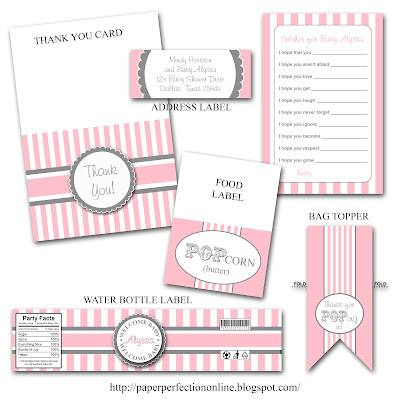 She requested a thank you card and address label for the "mommy to be" and a water bottle label, bag topper for pop rocks, food labels and a wish card for the baby for guests to fill out during the shower. 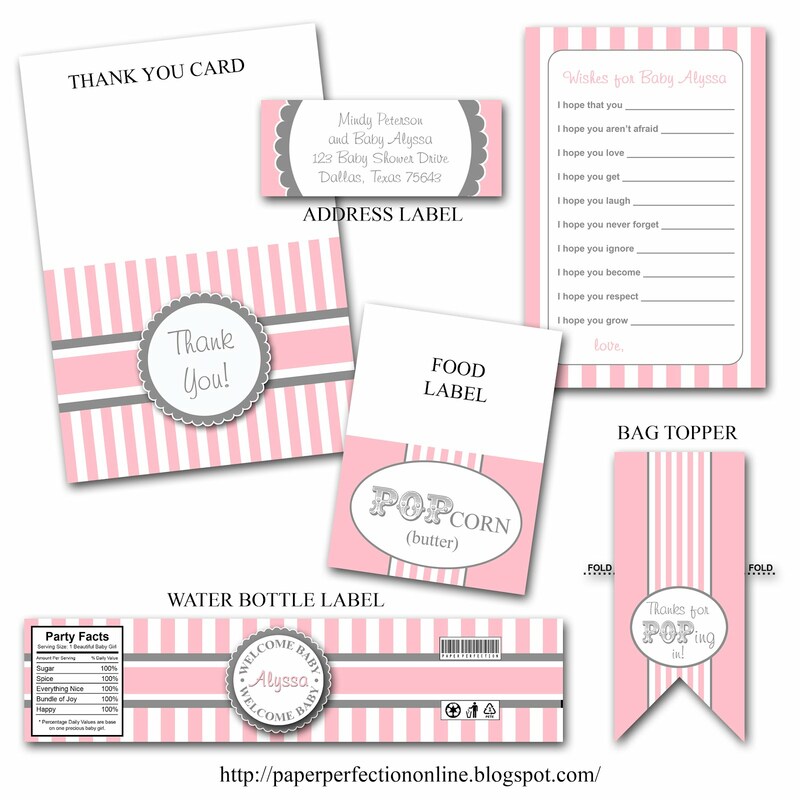 Here are the printables that I designed for the shower she is going to host. If you are looking for something special for your next event contact Paper Perfection at jtanddolly@yahoo.com for pricing and details.